Again, I’m not a chef, so making an aioli at home was an accomplishment. It’s just not something I normally do on a Tuesday night. BUT….as I defrosted the Mahi Mahi I bought at Trader Joe’s, I saw a recipe attached to the packaging for an “Easy Aioli.” I decided to give it a try. It obviously called for mayonnaise because that’s the main ingredient in an aioli. 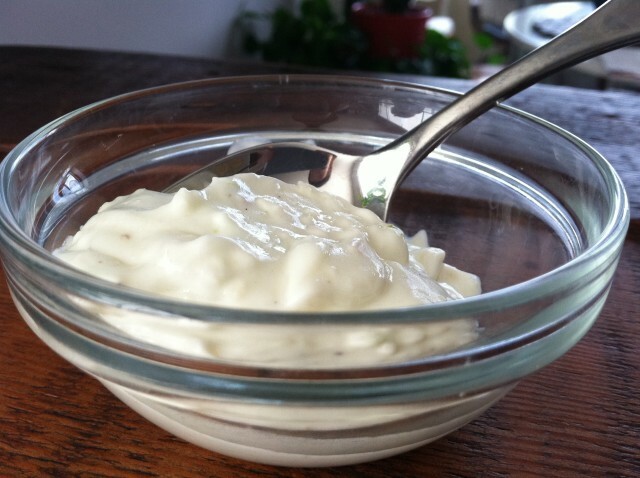 I don’t keep mayo at home because I’ve been substituting Greek Yogurt instead and it’s worked every time. So I figured, why not in an aioli? Let me tell you, it was one of the BEST aioli’s I’ve ever had and it took all of 3 minutes to make. It honestly tasted like the most sinful sauce, but it wasn’t. Combine ingredients in small bowl and stir until smooth. Top on fish, or anything you want. I even put it on our couscous and bok choy because I couldn’t get enough.